CERF+ plays an active leadership role in advocacy and public awareness campaigns nationwide to provide a voice for artists in government and policy issues relating to emergency relief, readiness and sustaining a career in the arts. We also build partnerships and alliances with other organizations and in the process, exchange critical artists’ resources. CERF+ remains active as well representing the craft field in national arts policy discussions. CERF+ is proud to be a national co-sponsor of Arts Advocacy Day, an annual gathering in Washington DC of national arts, humanities and civic organizations who join together to urge Congress to support legislation that promotes the arts and values artists’ contributions to our society. In 2006, CERF+ spearheaded the formation of the National Coalition for Arts’ Preparedness and Emergency Response, a cross-disciplinary, voluntary task force involving over 20 arts organizations (artist/art-focused organizations, arts agencies and arts funders) and individual artists. Executive Director Cornelia Carey served as co-chair during its first decade. Coalition participants are committed to resource development, educational empowerment, and public policy advocacy designed to ensure that there is an organized, nationwide safety net for artists and the arts organizations that serve them before, during and after disasters. 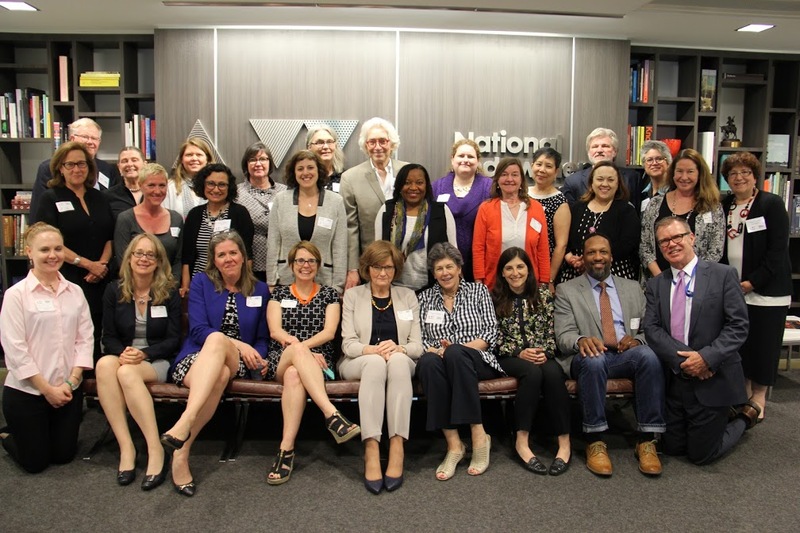 Through mentorship and placemaking tools, the Coalition has assisted foundations, arts agencies, art service organizations and corporate grantmakers interested in becoming more emergency ready and effective in their emergency relief efforts and grantmaking. Click here for the executive summary of the Coalition’s 2014-2020 plan. In 2013, CERF+ began efforts to encourage the Federal Emergency Management Agency (FEMA) to update their Other Needs Assistance (ONA) tool replacement program to designate self-employed workers as individuals, including artists, freelance workers, and independent contract workers, thus enabling them to be treated the same as W-2 workers with respect to this program. In 2016, during Americans for the Arts Arts Advocacy Day, Senator Tom Udall (NM) introduced the CREATE Act of 2016 (S. 2648) and included this tool replacement provision in section 108 of the bill. The Comprehensive Resources for Entrepreneurs and Artists Through Education (CREATE) Act, sponsored by Sen. Tom Udall (D-MN) and Rep. Debbie Dingell (D-MI), is a comprehensive arts entrepreneur proposal to incorporate the arts into the growth of our economy through minor changes in the tax code and adjustments to existing programs, including FEMA disaster assistance for self-employed U.S. workers. CERF+ has been working with Senate staffers to craft a proposed amendment to the Senate Disaster Management Act, which reauthorizes FEMA, that is expected to be reintroduced in 2017. The following organizations representing over 500,000 artists and other self-employed workers have endorsed this important advocacy position relating to FEMA disaster assistance to replace tools necessary to earn a living. The Actors Fund, a member of the National Coalition for Arts Preparedness + Emergency Response, is distilling the current political activity around health care into a brief, monthly educational update to help you become a more active consumer and citizen on their online Health Insurance HQ. Actors Fund Health Insurance HQ distills the current political activity around health care into a brief, monthly educational update to help you become a more active consumer and citizen.